I really liked how my umbrella picture turned out with drawing over the watercolor background, so I decided to do it again this week. And I went with candy because I’ve had a lot of it since Easter last week. Not this kind, but these are easier to depict in a line drawing than peanut butter eggs are. Find me on Etsy, Instagram, Twitter, and Tumblr. I’ve mentioned before how June is a busy month for birthdays around here. Well, we have two of them. Now that I think about it, that describes every month March through June. Anyway, I decided to make t-shirts for both birthday boys. 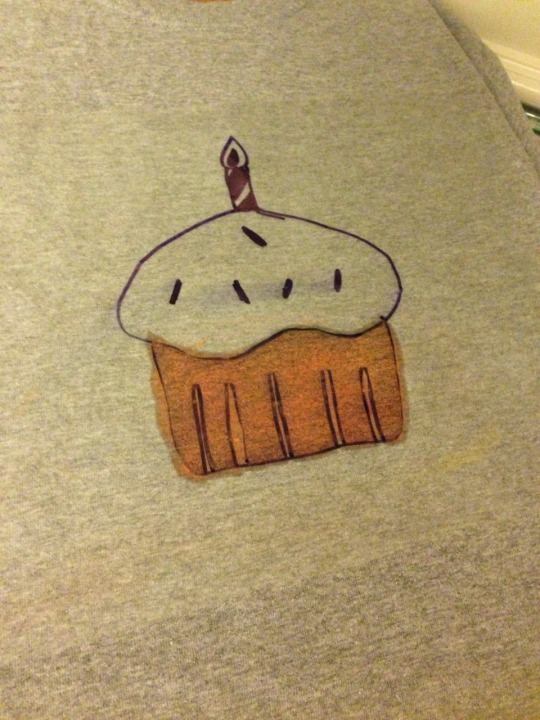 One asked me for a Baymax shirt and the other was having a cooking party so I made him a cupcake shirt. 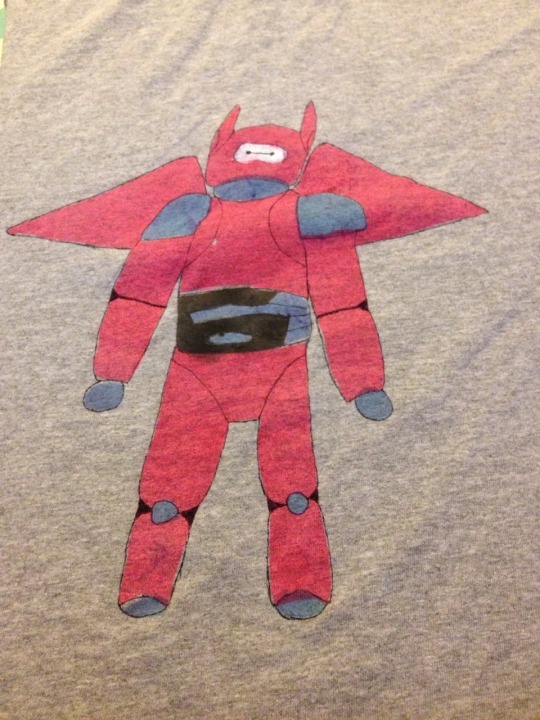 I used my contact paper masking method to create stnecils for some fabric spray paint. I made the basic picture using the paint, then added the details in a couple of different ways. 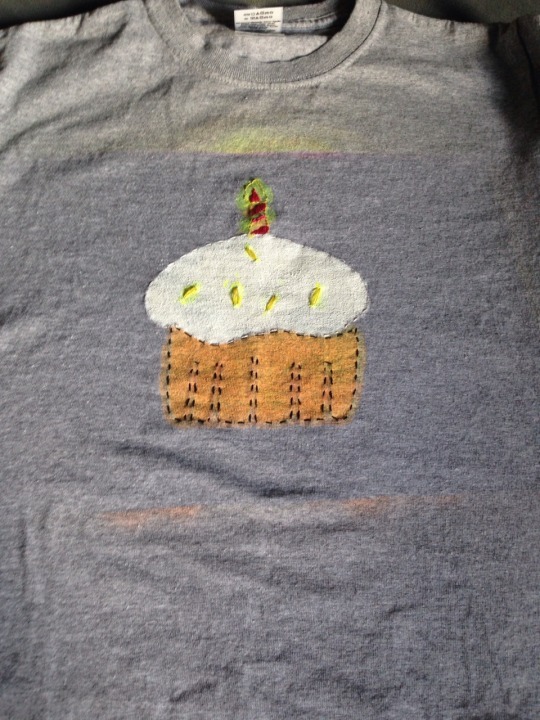 For the cupcake shirt, I went back in with some embroidery thread to create outlines and details. The other one being a cartoon character, I thought drawn details would fit better with the style. For that I used my trusty Sharpie pens I found on my trip to the closing Office Depot. They both turned out really well. Well enough to say definitively that the contact paper method really works for creating stencils for the spray paint. It just takes a lot of light coats of paint to prevent bleeding and pooling at the edges of the sticker. New, fluffy seat covered with weatherproofed cotton, clean bolts and sealed paint. Much more fun to get excited about riding than the old one.